This post is sponsored by Fitivities. All thoughts and words are my own. I've been sharing with you about the importance of physical activity and movement in your homeschool. Read Get Moving in Your Homeschool for encouragement to make exercise a regular practice in your homeschool, A Few Good Reasons to Be Active in Your Homeschool for my reasons why you should make it a point to get you and your children moving, and Blending Fitness with Academics for tips to mesh movement with learning. 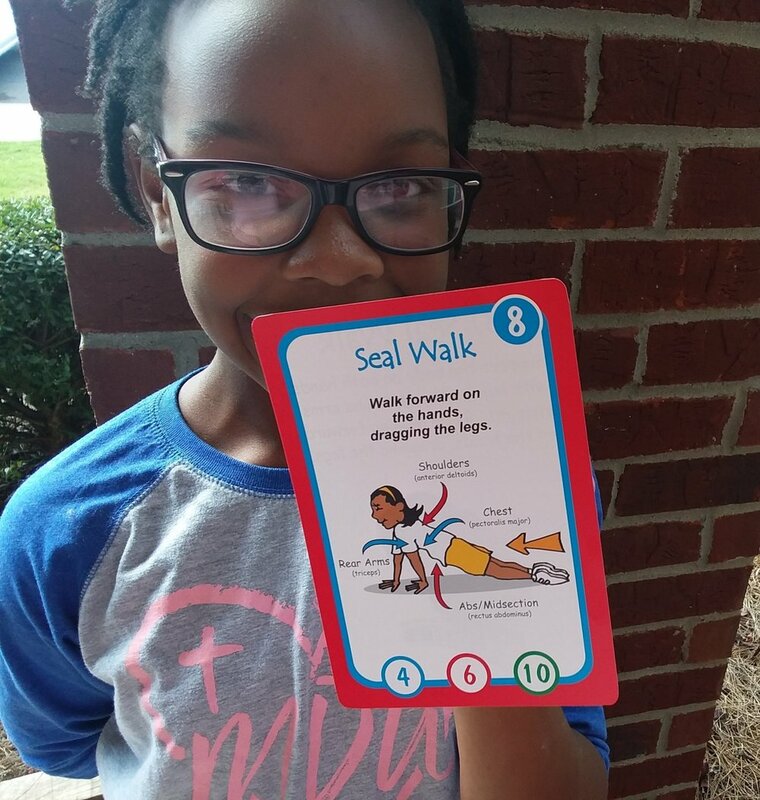 Seal Walk: Work your upper body muscles by moving forward on your hands and dragging your legs behind. 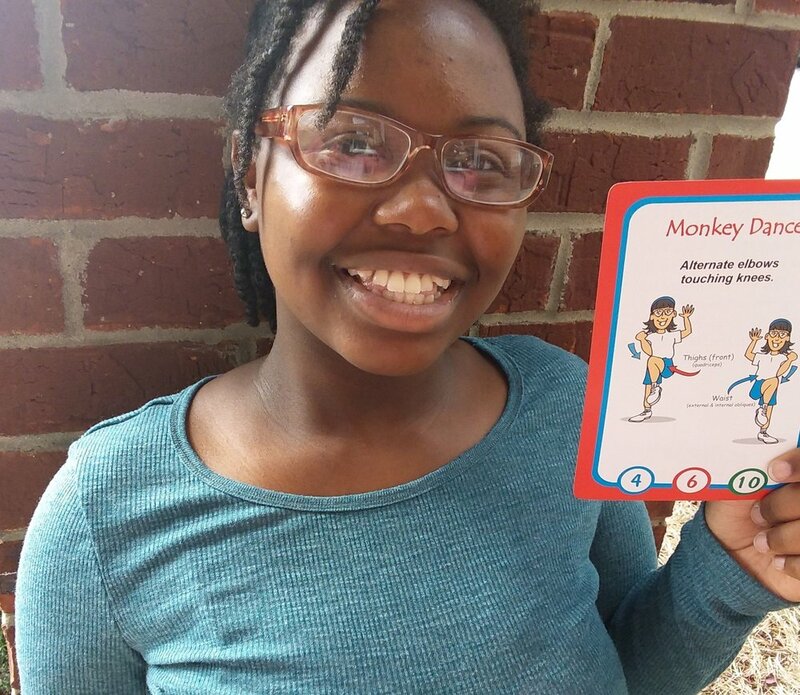 Monkey Dance: Work cross laterally by touching your opposite elbow to your knee. Skipper:Get a full body work out by skipping in a circle. 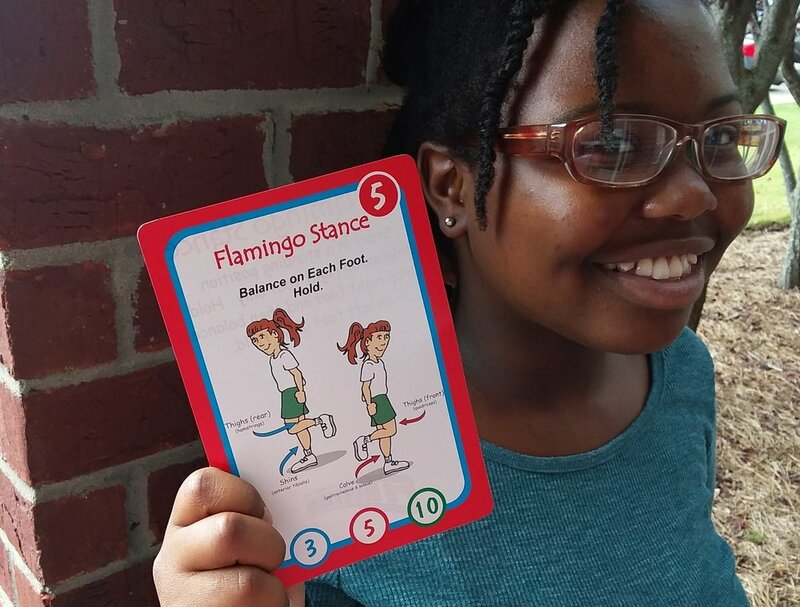 Flamingo Stance: Get better balanced and work your lower body by standing on one foot at a time. The cards pictured in the photo are from Fitivities. I appreciate having 26 exercises to chose from in easy reach. 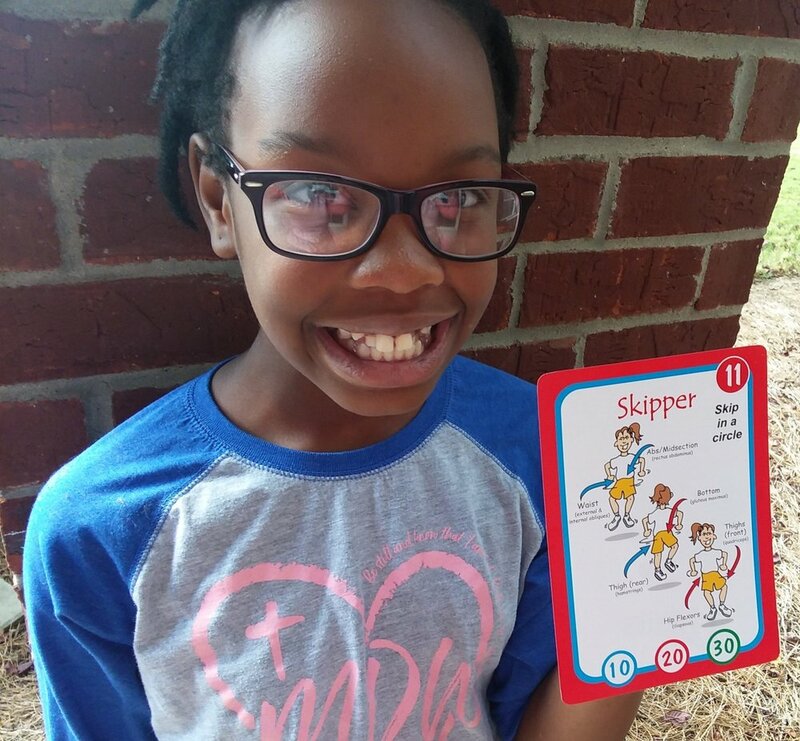 What are some of your favorite simple exercises to do during brain breaks, transition times, or homeschool P. E.? 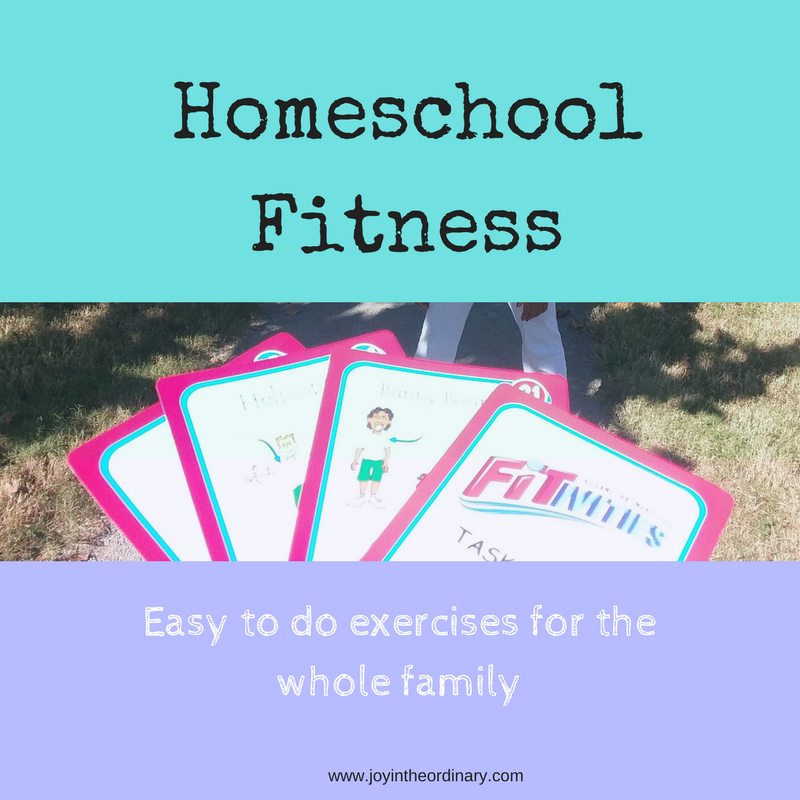 For more exercises to do in your home with your family, check out the homeschool section on Fitivities website.